Providing recommendations in a genre like “Action and Adventure” is pretty tough. After all, don’t all shows have some form of “action” and at least some “adventure”? The meaning of adventure anime can be whittled down a little when you think about where the focus of the story lies. A good archetype for this sort of story is something like the Indiana Jones films. The focus is on the hero’s literal journey towards some goal and all the wacky stuff that happens along the way. It’s very much the genre that hews close to Campbell’s Hero’s Journey. A classic anime would be the Dragon Ball franchise. The characters seek the dragon balls so they can have their wishes granted, and they have an adventure along the way. You’ll notice that I haven’t included any of the Dragon Ball anime here. That’s because I think they haven’t aged well and, honestly, newer anime like Naruto have done a better job at telling the same sort of story. As you can tell from the above example, lot of shonen anime falls squarely into this anime and so you’ll see some of the best shonen anime on this list as well. Some of these shows are short, self-contained series and some have been running for years with literally hundreds of episodes. Either way, you’re in for a rollicking good time with any of them. Fairy Tail centers on the adventures of a teenage wizard, but this ain’t no Harry Potter, my friend. It’s set in a fantasy world known (rather uncreatively) as “Earth Land”. This is a world filled with wizards who organize themselves (for the most part) into guilds. The titular Fairy Tail is one of these guilds, and as the story opens we get to know about it through the eyes of a newbie wizard by the name of Lucy Heartfilia. Her door into the guild comes in the form of dragon-slayer wizard Natsu Dragneel. The series chronicles the various quests and adventures of Dragneel’s party, which grows in size and strength as the story goes on. 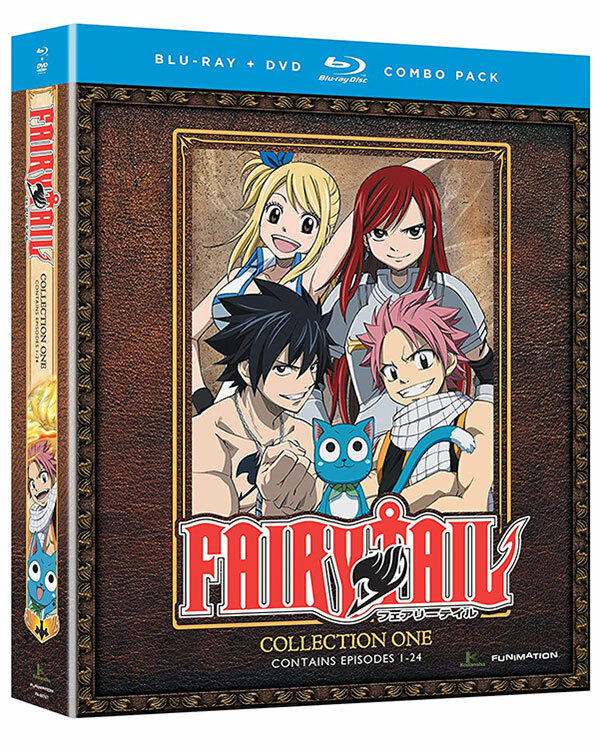 Fairy Tail is a comedy adventure that will appeal to anyone with a sense of fun. It’s got a lovely colorful design, interesting characters, and an intriguing world to explore. It’s perfect for anyone looking for a bit of excitement on a dull afternoon. Hunter X Hunter is one of those anime that has a fanatic following – to the point where the poor guy who authors the manga source material has to take breaks for his own health. Invariably, each time he does this there’s a fan outcry but, honestly, they should cut the poor man some slack. 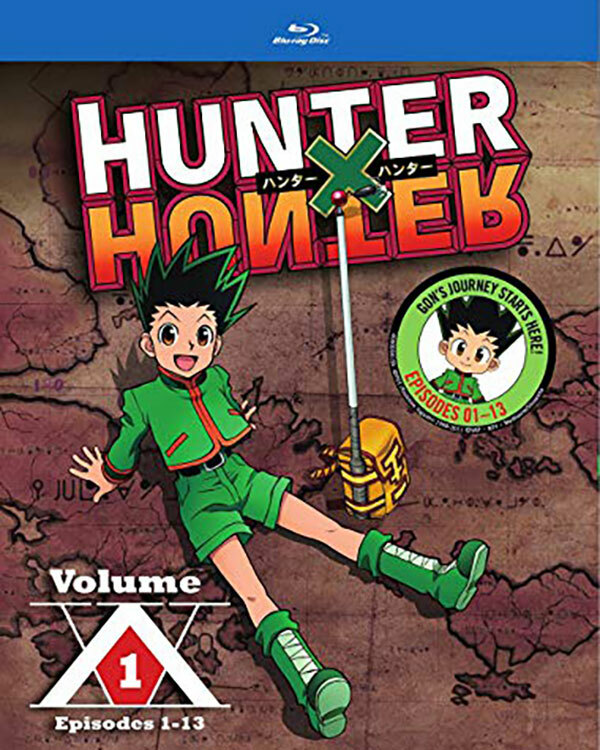 As you can probably tell, Hunter X Hunter is one of the biggest names in anime and manga. It often gets included in “greatest of all time” lists and has been going for ages. The manga started serialization in 1998 and it is still going. So far, about 360 chapters have been published and the story is still not over. So what is this adventure anime about? The main character is a young boy who believes his dad has kicked the bucket, but at the start of the series learns that this is not true at all. Instead, dear old delinquent dad has been living as a “hunter” – a person whose job it is to find things too difficult for others. Whether it’s a treasure or a bounty, hunters will pursue it. Gon’s McGuffin is in fact his father, who he wants to find by passing the Hunter Exam and following in his footsteps. While the manga is still going, the 1999 anime had 62 episodes and the latest had 148 episodes. There are also a bunch of OVA’s to get your teeth into. Personally, I’m a fan of 90s anime, but it’s perfectly fine to just roll with the 2011 148-episode show. It’s a reboot of the storyline, so you’ll get the latest and greatest incarnation. Man, what can I say about Naruto? This is probably the biggest shounen adventure anime of all time. When it first came out I was writing for a local anime fanzine. I remember remarking on how much promise the show had back then. It ran concurrently with the manga, which meant the show also has a lot of non-canon filler content. Luckily, there are plenty of filler-skipping guides on the internet if you don’t want the side stories. 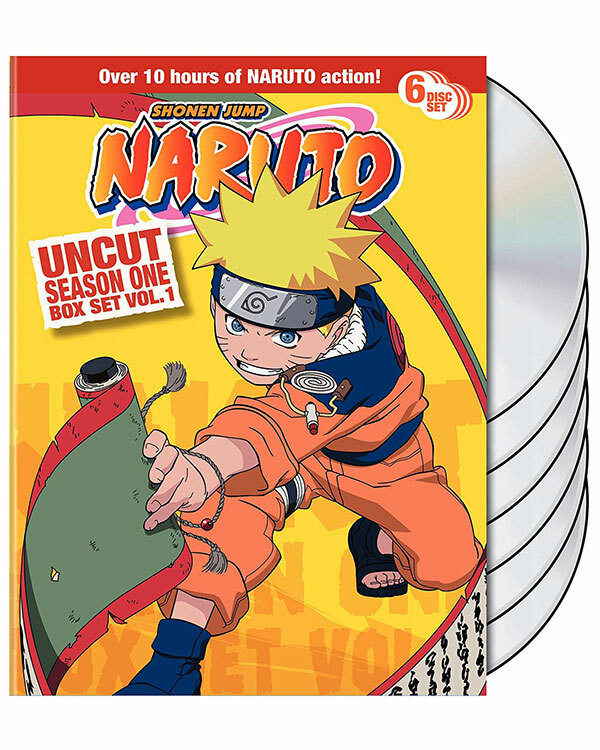 Naruto tells the story of young Uzumaki Naruto, an orphaned boy who lives in a “hidden” village. This ninja village represents the military power of its host nation. Naruto is looked down upon by all the villagers due to mysterious events surrounding his birth. He wants to be a ninja and prove his worth to all those that doubt him, but he’s a pretty bad student who almost doesn’t make it through basic ninja training. The show follows his adventures as he aims to become the “hokage” – the strongest ninja in the village who acts as its leader. This show is absolutely massive. It ran from 2002 to 2017 with 720 episodes in total. There’s Naruto and then Naruto Shippuden, making up the total run of episodes. The second part of the series starts after a time skip that takes the characters into adolescence. In a way Naruto is STILL going, since there’s a sequel series called Boruto that chronicles the further adventures of the hidden village. Naruto has one of the most creative and entertaining fictional worlds in all of the anime medium. The lore has built up densely; the story is fun, thrilling, and often funny. It’s hard not to like Naruto even if the number of episodes is a bit daunting. However, if you like the first major arc of the show then you’re almost guaranteed to like the whole thing. 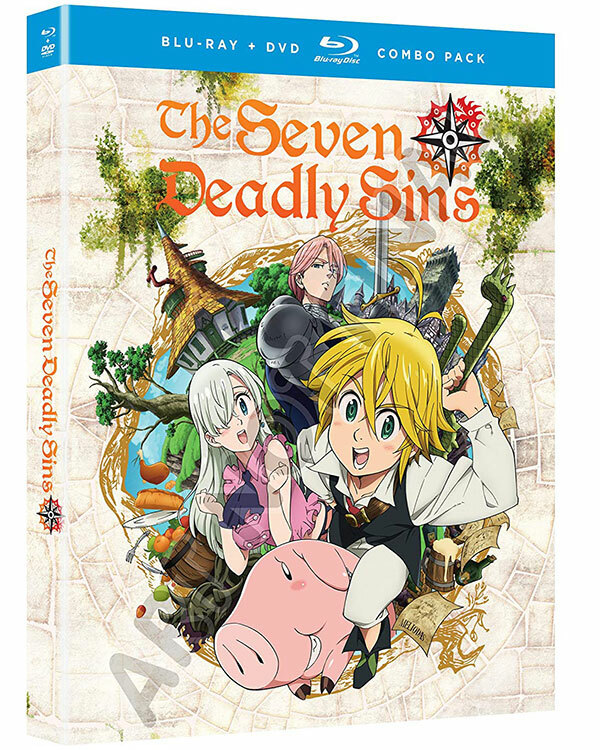 I caught The Seven Deadly Sins on Netflix as a “Netflix Original”, which basically means that Netflix helped fund the show and owns the streaming rights to it worldwide. The artwork caught my eye immediately, and after only the first episode I was absolutely hooked. The “sins” in the title are a group of incredibly powerful knights who broke up the band after allegedly attempting a coup. Ironically, an actual coup was then perpetrated by another order of knights and we start the story with the royal family suppressed and under the control of these so-called “holy knights”. The third princess of the realm escapes captivity and heads out to track down these seven sins, hoping they will help her take back the kingdom. While she quickly begins to find them, they turn out to be very different than the legends would suggest. The story follows their adventures as they get the band back together with the intention of defeating the Holy Knights and taking back the kingdom. On the way we learn about each sin’s backstory, trials and tribulations. The Seven Deadly Sins has some of the best fantasy fight scenes I’ve seen in awhile. The various knights are incredibly overpowered, and if you like ridiculous superhuman battles this will definitely scratch that itch. It’s got quite a bit of edgy sexual humor as well, but if you can put up with some fanservice this show is well worth watching. Along with Naruto and Bleach, One Piece forms the holy trinity of modern adventure shounen anime. The show first started airing in 1999 and is still running today. It sits at just over 800 episodes, which is more than Naruto, if you exclude Boruto, that is. One Piece is set in a world that follows a more piratical theme than other shows. In fact, it’s basically all pirates, treasure, and the like, with a distinct anime fantasy twist to it all. The main character is the hilariously-named Monkey D. Luffy. He has a dream to be a pirate, thanks to the stories about the notorious “Shanks” he grew up with. Luffy isn’t just a normal boy, however. He has a rubber body thanks to eating one of the “devil’s fruits” – objects that grant superhuman powers but come with a catch. If you eat one of these fruits you can’t swim in seawater and will sink to the bottom – a bit of a handicap in a pirate. Monkey starts his own pirate band and begins to recruit a colorful crew of miscreants. 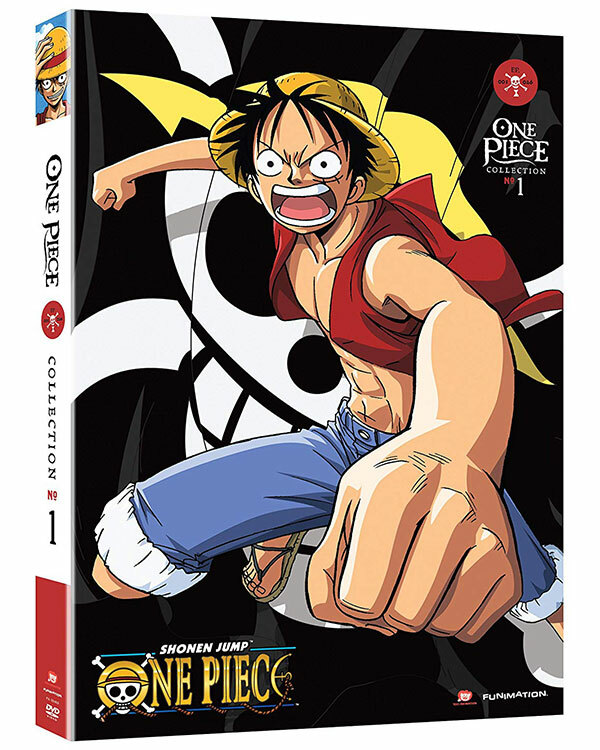 The One Piece itself is a legendary treasure that Monkey dreams of finding; to do so he has to adventure in one of the largest and most complex fictional worlds of any anime. One Piece also eschews the semi-realistic character designs of shows like Bleach and Naruto. Instead, it goes the Dragon Ball route and uses its own cartoony style to depict characters. One Piece is a bit of a slow starter, even in the realm of decade-spanning shounen anime. But if you’re up for it this is one of the grandest adventures that the medium of anime has to offer. Finishing off the big three is Bleach. No ninjas, no pirates – this time we’re in a world inspired by the various afterlife myths of Japanese and later other cultures. It’s a story about “shinigami”, death gods who help transport souls into the world of the afterlife. They come in the form of samurai with mystical swords that are unique to each individual. The story starts with our hero, Ichigo Kurosaki. Ichigo can see ghosts and sometimes tries to help them out a little. One day he witnesses a shinigami by the name of Rukia try to take down a “hollow”, a soul that has wandered for too long – turning monstrous. Several things happen, culminating in Ichigo absorbing Rukia’s reaper powers, becoming the first human shinigami. Thus our adventure begins as Ichigo starts to unlock his latent powers and has to stand up not only to powerful hollows, but also to the powers that be in the afterlife itself. Of the big three shounen anime, Bleach is probably the show that most closely apes the ridiculously elevating stakes of Dragon Ball Z. It follows a cycle where Ichigo trains to become stronger, defeats the guy he couldn’t, and then gets smacked down by the next guy, only to continue the power-up phase all over again. It’s a simple formula, but the show’s saving grace is that it doesn’t let the status quo get stale. It’s always introducing new settings, new characters, and new facts about the universe that throw more wrenches into the machinery of Ichigo’s life. Great character designs, fun battles, and an overall high production level (for this type of show) mean that if you like either Naruto or One Piece, there’s a good chance Bleach is going to be up your alley. 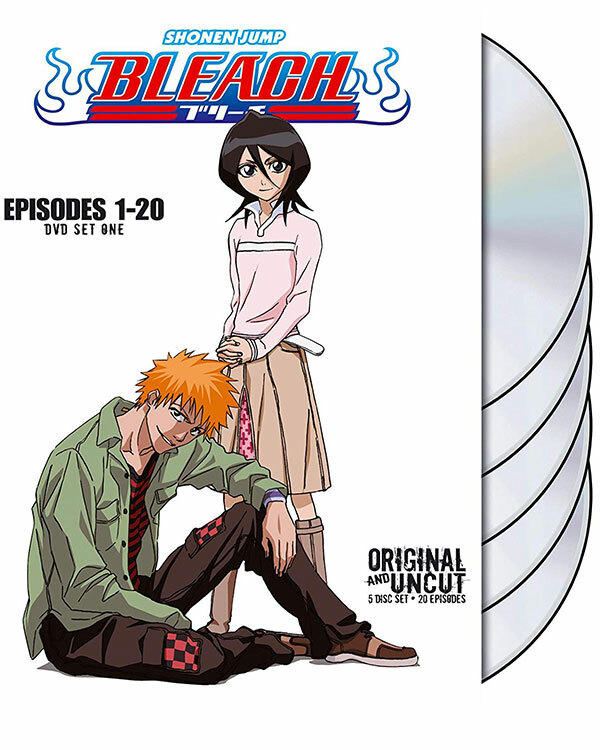 Even better, it has the lowest episode count of all three series, with only 366 episodes. That’s before you cut out the filler episodes, so really it’s the easiest to get into. Log Horizon is a show that falls into a template that has become its own sub-genre of the isekai (another world) anime. Instead of being transported by magic to another realm, the characters get trapped in a VR game or an online game suddenly becomes real. 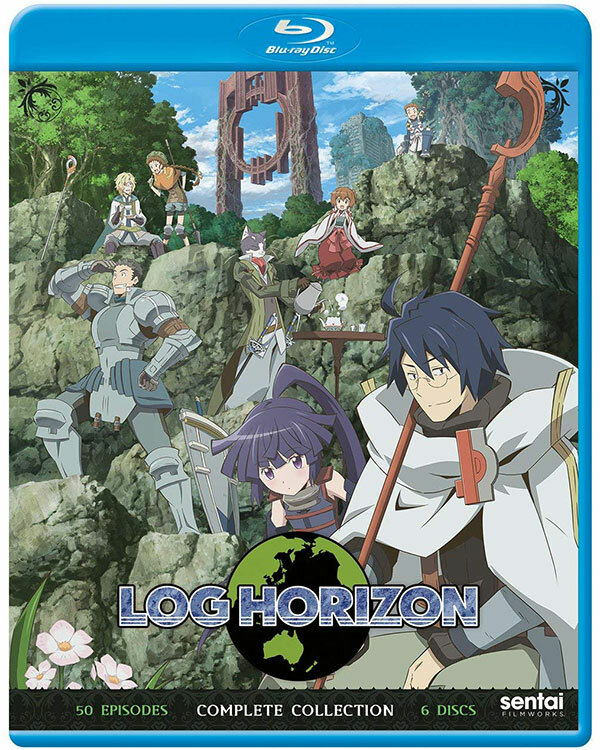 In Log Horizon it is the latter that happens, since the game “Log Horizon” becomes a real world, sucking in the 30,000 players who were logged in at the time it happened. Our main character is a high-level player known as Shiroe. In this world he and the other players are powerful, immortal beings known as adventurers. The NPCs from the game become sentient beings and are referred to as the “People of the Land”. The show deals with how these 30,000 people, suddenly finding themselves in this situation, start to build a society that brings some sanity to the madness. At the same time they have to negotiate their relationship with this world and the people who are in it. Log Horizon is one of the most unique takes on the “sucked into a game” subgenre, and doesn’t go in the direction you might expect at times. It’s a refreshing adventure show with a likable cast of main characters. Accel World has become a modern classic when it comes to stories dealing with cyberpunk themes like virtual reality. In Accel World we’ve progressed from smartphones and computers to direct brain interface systems known as “neuro linkers”. In fact, young people born after the invention of neuro linkers get them installed at birth. One thing Accel World hits you with from the start is the show’s main character. He’s about as far away from a heroic figure as you can imagine. He’s short, overweight, and rather cowardly. Haru Arita gets bullied all the time and as the story opens he’s being forced to buy things for a group of school bullies. Basically, he’s that stereotypical geeky fat kid so many of us either were or knew in school. His whole life changes, however, when he meets the beautiful Kuroyukihime. She introduces him to a secret neuro-linker game called Accel World. This game gives the user superhuman speed of thought in the real world, but in order to use it you have to compete for points in a PvP combat arena. If you ever lose all your points you are permanently banned from Accel World. Since people use the acceleration power to gain all sorts of advantages in life, they fight hard for the right to stay in the game. However, as the story goes on much more is revealed both about Accel World itself and Kuroyukihime’s past. 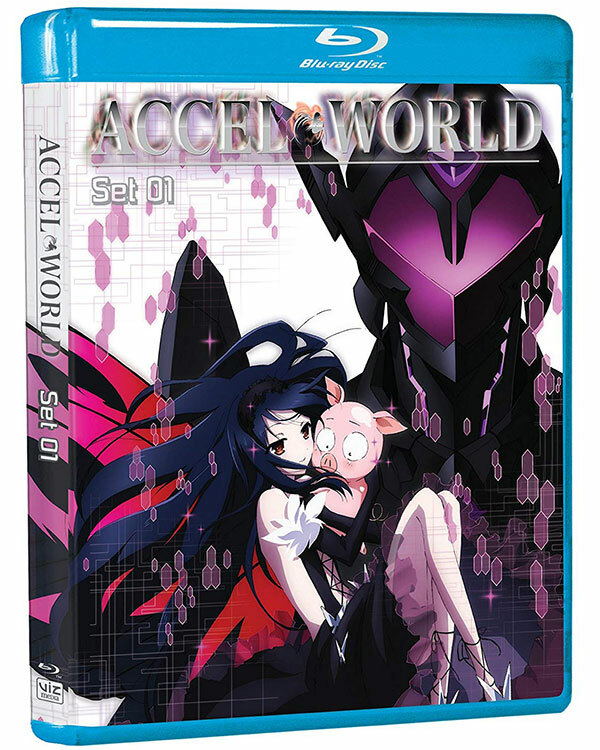 Accel World is a really great show, and if you have any interest in cyberpunk at all you’re sure to dig this one. Although shows like Hack.Sign paved the way, Sword Art Online is without a doubt the show that really brought the “stuck in a game” genre into the mainstream and popularized it. It’s hard to overstate how big this show is. There’s just an endless flow of games and merchandise, not to mention all the actual anime. 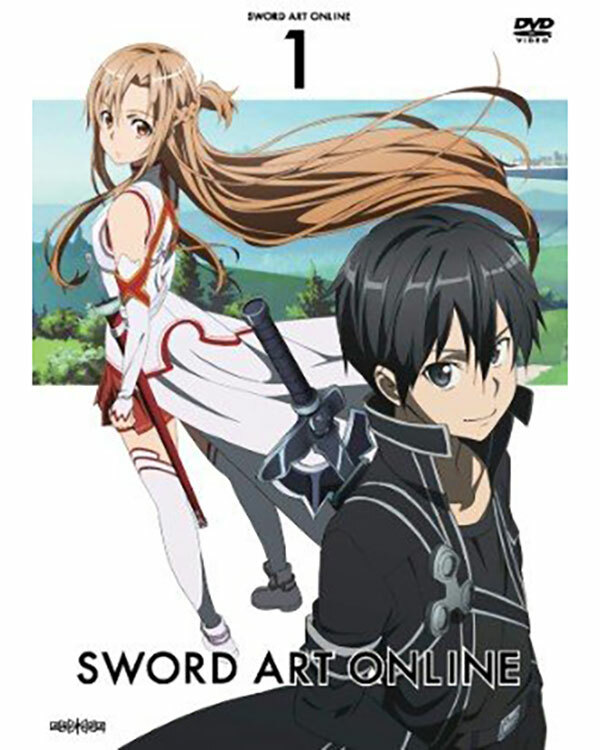 Sword Art Online is based on a light novel series and tells the story of Kazuto Kirigaya. He’s a player in a VRMMORPG, a letter soup that’s short for “virtual reality massive multiplayer online role playing game”. Sheesh. The game is completely new, using a system called the “nerve gear”, a VR system that directly stimulates the brain to create complete immersion. Kazuto was a beta tester for Sword Art and is already a very skilled player, but after the launch no one can log out of the game. The creator appears to them and says they will only be released when they can beat all 100 floors of the central challenge castle. Anyone who dies in the game dies for real, their gears frying their brains. If outside people try to take the gears off, it’s the same deal. Dead, dead, dead. Our hero must find a place in this new world and figure out how to help his fellow players beat the 100th floor and finally be free. It’s a long way to that goal, however, and the adventure is a very entertaining one. Rage of Bahamut almost completely passed me by. The only reason I actually tried the show out was because I like the character artwork. It’s a good thing I did end up watching it, because it turned out to be one of the most fun adventure anime I’d ever seen. Beautifully animated with great, epic fight scenes and set pieces, it was worth every second invested in it. So where does this great show come from? A manga? A light novel? Nope, it’s adapted from a mobile card battle game, of all things – the sort of thing most people don’t look twice at since they tend to be free-to-play trash. In any case, you can forget about all that because as a stand-alone anime Rage of Bahamut is great. It tells the story of a land called Mistarcia. This is a world full of demons, gods, and of course those darn humans. Generally, these three factions have a complicated relationship, but at one time in the distant past they all banded together to defeat the incredibly powerful dragon Bahamut. As the story opens, a young woman steals half of the key needed to bring Bahamut back. Understandably, this causes a lot of panic and everyone sets out after her. Her path crosses with two bounty hunters who are sort of frenemies, and it all just gets ever more out of control from there on. 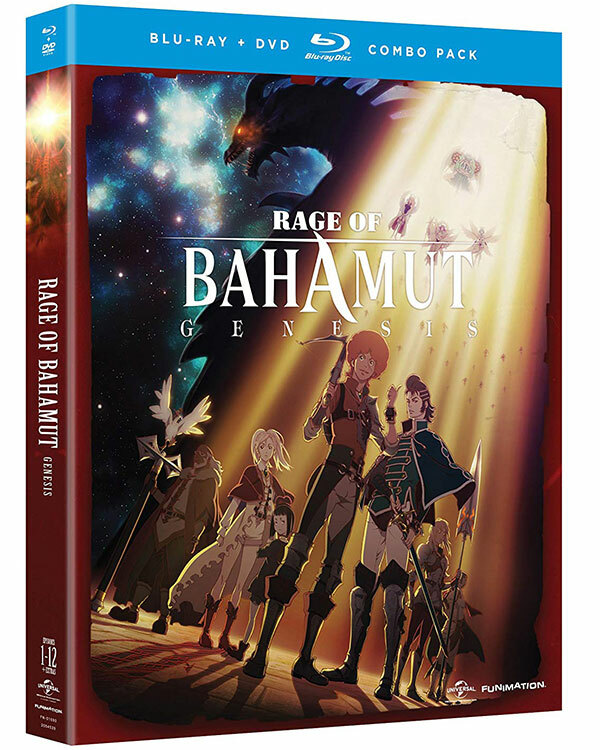 Rage of Bahamut is a great action anime and I’m sure most action and adventure fans will find it refreshing.